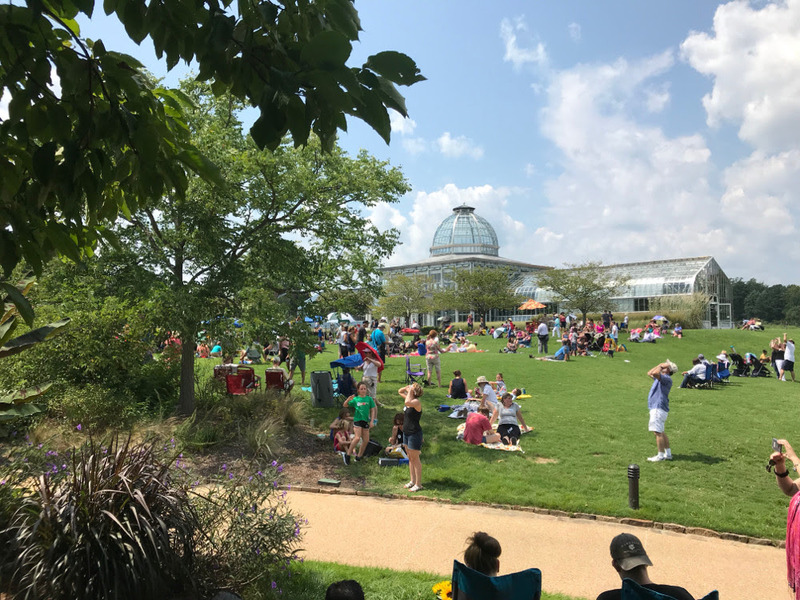 RICHMOND, Va. (Herald de Paris) — It was a beautiful afternoon at the Lewis Ginter Botanical Garden, in Richmond, Virginia, today. The pastoral garden welcomed visitors to its grounds to witness the solar eclipse, sell sunflowers, and hand out NASA-approved glasses for safe viewing. Because there was only a limited number of glasses, the garden staff suggested everyone share. And that is exactly what people did. We are tiny little specks on a blue ball twirling around this vast universe. Today, as we watched our moon pass in front of the mighty star we call our sun, differences were forgotten. Disagreements seemed petty. And the recent unpleasantness seemed soothed by the scale of what was happening overhead. Children and adults of all hues, religions, and backgrounds played, mingled, and shared in a grassy field surrounded by flowers. Mother nature, it would seem, knows exactly how to heal.